To all our fans, friends and family in roleplaying, a very Merry Christmas! 2016 has been quite a year, and 2017 promises to be even better. We couldn’t have done it without you, so to say thank you, here’s a copy of Baleful Strix, a beautiful Field Guide illustrated by Bob Greyvenstein and written by Rodney Sloan. Have a fun, safe and relaxing festive season! Congratulations to Taylor, our lucky “guess the monster” winner. Taylor wins a free copy of Dying Dead, our newest 1-on-1 adventure. Want a free book for yourself? If you subscribe now you’ll get a copy of Baleful Strix—A Free Field Guide. (Please note that your book will arrive by e-mail within one week of subscribing). We’d like to wish all our US and Canadian customers a very special Thanksgiving. Thanksgiving is not a custom where I’m from, but I’m blessed to have joined my American friends in Japan to celebrate this special holiday before. Personally, I’m thankful that I’m running Rising Phoenix Games full-time now, and that wouldn’t be possible without your support. 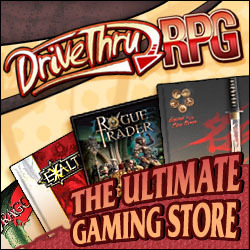 Some of our customers have come back again and again, some have written sterling reviews on Drive Thru RPG, and many have picked up one of our products and enjoyed them with friends, and at the end of the day, that’s a big part of what this hobby is all about. Our newest line is our Field Guide series of monster books, which includes Griffins—A Field Guide and Phoenixes—A Field Guide. The series is illustrated by the talented Mr. Bob Greyvenstein and written by myself. We have several more Field Guides in the works, covering fantasy staples as well as new creatures and races. Now, if you sign up for our newsletter, you’ll receive a copy of Baleful Strix—A Free Field Guide. We’ve also put out a new 1-on-1 adventure, Dying Dead, which is compatible with the Pathfinder Roleplaying Game. We’re offering you a chance to win a copy by guessing what monsters we’ll be covering next in our Field Guide series. More details on the blog. But hurry, the contest ends on the 30th of November. Have a great one and tell thrilling tales. May’s RPG Blog Carnival was a blast, we destroyed worlds, reshaped history and watched heroes rise and fall, all in the spirit of “At World’s End”. Only the brave or foolhardy would dare go beyond the borders of the world. Moebius Adventures offer up some great setting ideas that I haven’t seen get much play in published works and would be perfect for a home campaign. Some fantastic campaign seeds and how to introduce them into your game. Beware, for the end is nigh! John Crowley III talks about reaching the end of your campaign, and how to deal with it when the day comes. Because, really, an awesome campaign needs an awesome ending, so you’ve got to get that right. Phil gives us a look into four of his own campaign finales, some bumps he had along the way, and what he learned from the experience. Some great examples to ponder over. 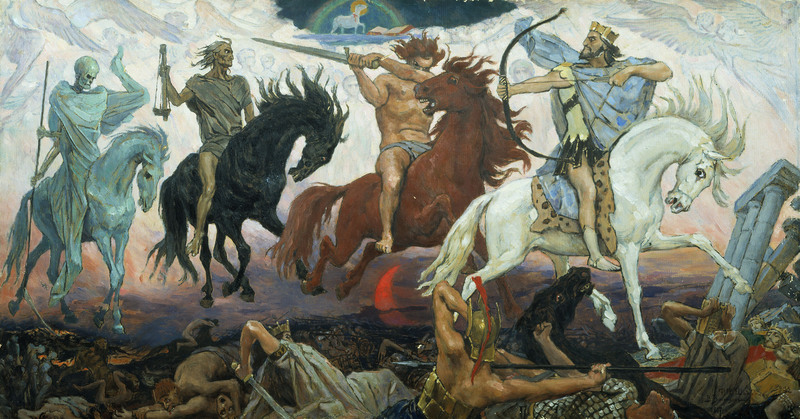 Some very practical ideas here for apocalyptic events, in a sort of “having your cake and eating it without your whole campaign dying” sort of way. Their title really says it all: Apocalypse Not Now. A dramatic opening to the apocalypse in the Sea of Stars setting. And dragons! Phil is back with his finale successes, rapping us up on a high note with more GMing advice based on actual plays. That’s it for this month. Next month’s topic is Cold Iron and Pixie Dust: The Fae. Be sure to check it out! Imagine you’re coming to the finale of your years-long campaign. Friends are moving away, and you want to end with a memorable bang. A big bang. A cataclysmic bang! This time it’s not just the people and things the PCs love that are at stake, but their entire world that’s on the line. There is no turning back. So how do you prepare for a world shattering session? With the Kickstarter for Crisis of the World Eater successful funded, we’ve got plenty of this sort of thing to look forward to. Maybe you, as a GM, are feeling inspired. Perhaps, as a player, you’re about to face your toughest challenge yet. The topic for May’s RPG blog carnival is “At World’s End”, and the best and brightest RPG bloggers will be sharing links to related posts, right here, in the comments below. Anything is fair game; cataclysmic events, stats for planet crushing monsters, rules for the Apocalypse, or perhaps a hero’s survival guide to the End Times. We’re not playing games anymore, now we’re playing for keeps, winner takes all! Don’t forget to follow the Phoenix on Twitter and Facebook, it’s the best way to keep up to date with the world shattering events that are about to be unleashed by ruthless GMs the world over. More information about the RPG Blog Carnival can be found on roleplayingtips.com. The folk over at ofdiceanddragons.com have announced that it’s carnival time, and what a creepy carnival it is. Here to hound and harrow your players is the Seething Slime, an ooze for the Pathfinder Roleplaying Game that gets more powerful as the heroes get more angry. Seething Slime by D & R Sloan. © 2014 – 2015.